Jim Burns, one-half of the brainchild behind MTV's long-running series, MTV Unplugged, has passed away. According to reports, Burns was walking his dog in New York's Upper East Side neighborhood when he was tragically hit by a yellow taxi cab on Saturday (Dec. 23), an incident that left him in critical condition and later led to his passing on Tuesday (Dec 26). He was 65 at the time of his death. 2017 MTV VMAs | Kendrick wins Video of the Year for "HUMBLE." Burns, who had a lengthy career as an executive producer and writer, co-created MTV Unplugged alongside Robert Small in 1989, with the reoccurring series highlighting stripped-down, acoustic performances from a slew of notable artists. Throughout the iconic series' duration, featured acts included the likes of Elton John, Aerosmith, Jay-Z, The Roots, Mariah Carey, Nirvana, Eric Clapton, Alice In Chains, Lauryn Hill, Alicia Keys and more. The show was recently revived by MTV back in September of this year with a performance by Shawn Mendes. Some of the accolades that the beloved program helped garner over the years include Eric Clapton winning six Grammy Awards for his Unplugged album and Nirvana winning a Grammy for best alternative music performance. Our condolences go out to the friends and family of Jim Burns. RIP. 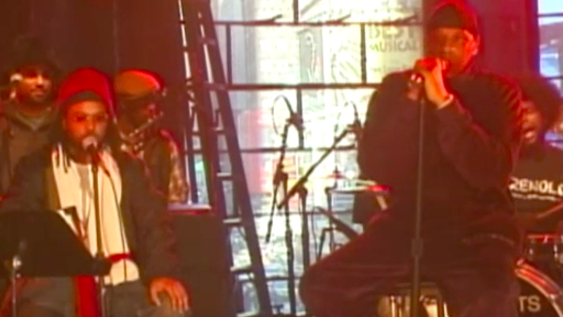 Revisit an example of Jim Burns' legacy with MTV Unplugged in the throwback clip below.